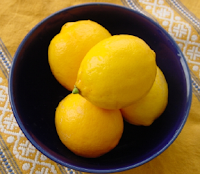 Jeannie's Artisan Jams: When Life Gives You Lemons....Make Marmalade! It was great seeing you and your family there. And thanks for returning your jars!